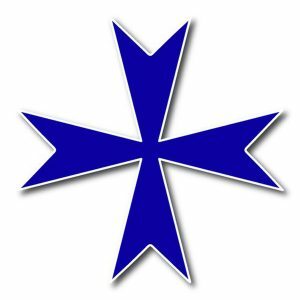 Letter to Members of the Order: Oct. 4, 2018 A.D. – Ordo Militaris, Inc.
Letter to Members of the Order: Oct. 4, 2018 A.D. I am writing to tender my resignation from the Board of Directors of our North American Private Military Corporation, “Ordo Militaris Inc.”, of Helena, Montana, and to invite the Members of the Order in the United States of America, to step forward to serve with the PMC on the Board of Directors to carry its work forward. Inspired by the Lord to seek men who would help defend Catholics who were persecuted for the faith, I founded this corporation to advance the work of our order in the United States and throughout the world. Since its foundation in August of 2016, in Cheyenne, WY, and its subsequent re-foundation in Helena, MT, in the following spring, the PMC has served as the legal entity to carry the work of the Order forward in its mission to defend all those persecuted for the Name of Christ, where that defense and security requires the use of armed force. I am grateful for all the assistance the members of the Order have given, since August 2016, and in first place to Andrew J. Baalman for his constant daily efforts to promote the Order, taking the lead with the foundation of our Chapter in Kansas, USA, and our online Radio Apostolate, “Ordo Militaris Radio”. Together we organized several efforts to promote the Order, such as levels of membership, monthly pledges, the Recruitment Kit, the private offer of stock, the Lepanto Flag, the Holy League of 2018 Initiative and the promotion of the Order at the 2018 NRA National Convention in Dallas, Texas. Mindful that the Lord had only called me to seek those who would begin this holy work of the Order, I have decided to resign from the Board of Directors on this Feast of Saint Francis, so that I might return to the pure observance of the Rule, in which I cannot undertake any legal or financial acts which dispose of property or monies. I believe that the Order can only go forward with the active participation of men and women who are more qualified in such affairs as it must involve itself in, and that I can best support the Order in the future by my prayers and the example of following my Seraphic Father, who though he called all men to peace, did not neglect to participate fully in the Fifth Crusade at Damietta, in Egypt, on account of the imminent necessity of protecting the Catholic States of the Holy Land from the Jihadis of his day. I pray that the Lord Jesus Christ, Who left Heaven and abandoned the comforts of Divine Glory to save sinners from the powers of Darkness, may through the intercession of Our Lady, Help of Christians, and Saint Michael the Archangel, First Defender of the Kingdom of Christ on Earth, inspire and provide throughout all the years of this present age, the men and women who will serve in this Order for the honor and glory of God. Those members of the Order who would like to volunteer to serve with our PMC’s governing board are invited to call our offices in Helena, MT. October 4, in the year of Our Lord 2018.